Yesterday, Daniel and I celebrated our five year anniversary of coupledom! I can’t say I’m surprised we’ve made it this far because anyone in a relationship with him would’ve lasted just as long. He sure does make it easy. 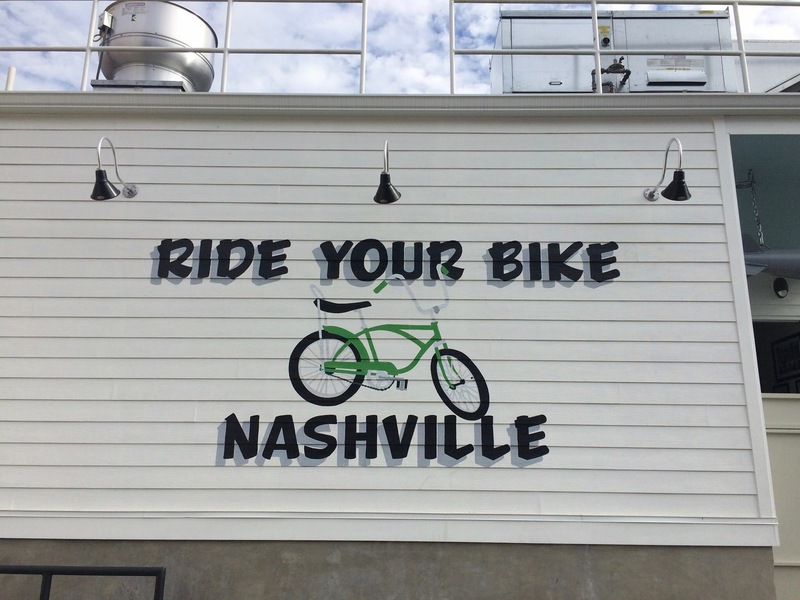 We were throwing out ideas of where we wanted to eat lunch and tired of the same old places, I did a Google search of newish and unique restaurants in Nashville. There are so many now I don’t know how we are ever going to eat at them all! Through that search I found The Flipside. After looking at pictures online of this 50s styled bar/restaurant, I knew we needed to branch out and try a new place, so Flipside it was. 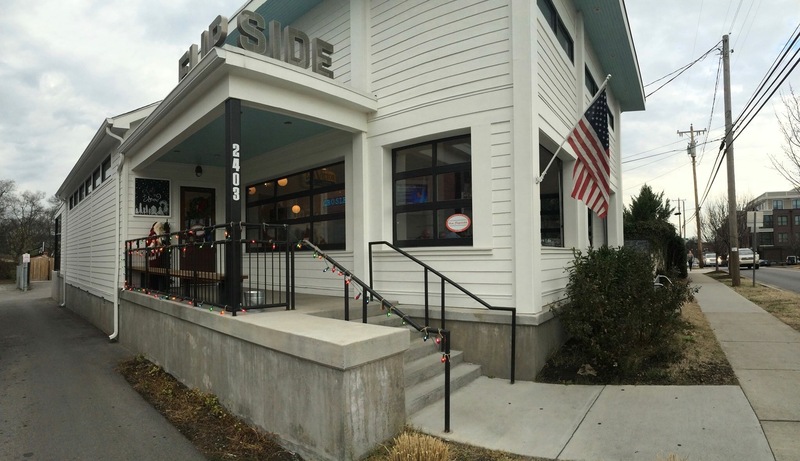 Located on 12th Avenue South, Flipside is every bit of retro, 50s, cool, young and hip as you’d think. All of the workers were laid back and wore cool beanies and Converse. All the guys had big beards and funky glasses. I will probably never reach the level of coolness these employees possessed and I’ve come to terms with that. I was just happy to eat their tater tots and drink their beer. 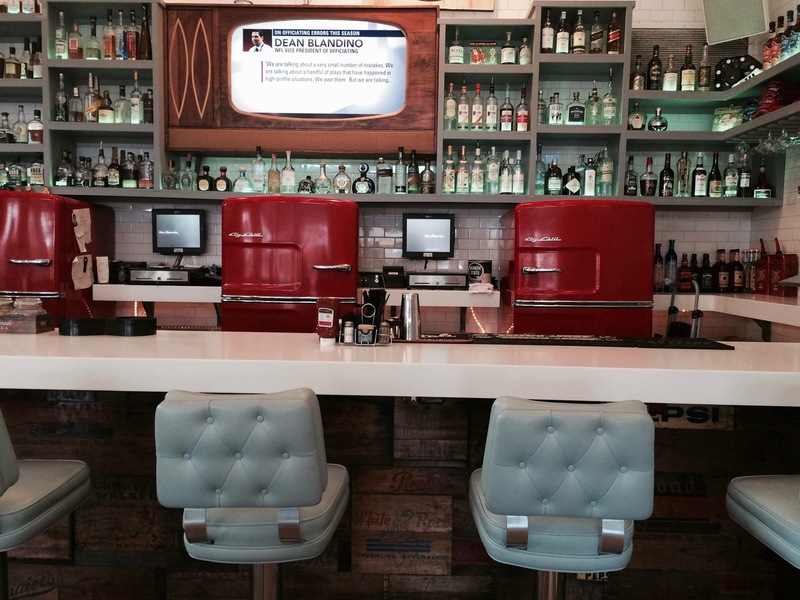 I’ve never felt so deeply about a material item until I saw these bright red 50s themed fridges. Refrigeration has never been so stylish. Their seafoam green upholstery reminded me of my typewriter, which must have been a popular color in the 50s. 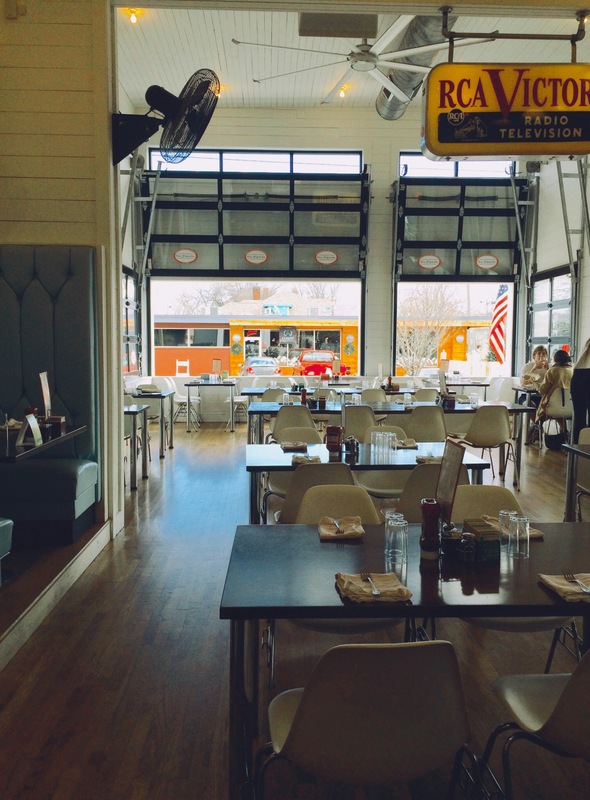 You’ll find the garage doors open on nice days to let the breeze and sunshine in. 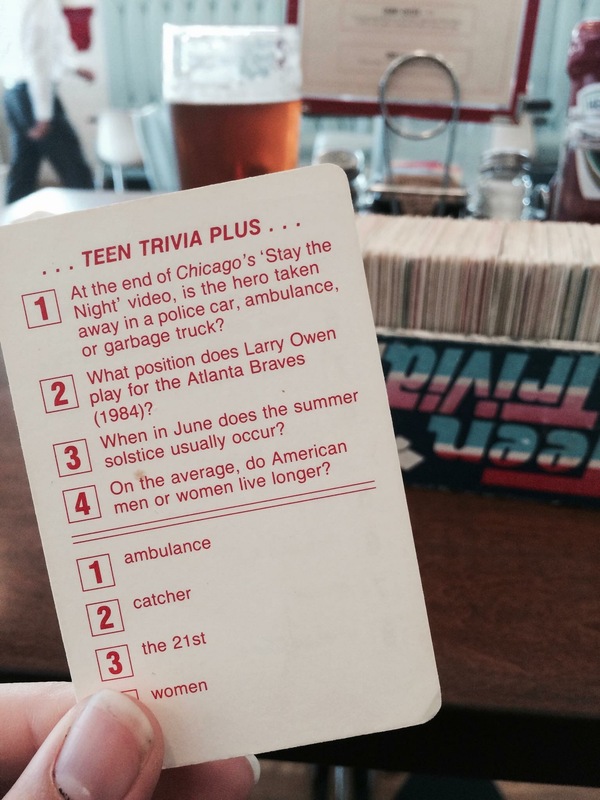 We played Teen Trivia and sipped Yuengling while we waited for our food. I ordered the Flipside, which is a fried chicken breast topped with jambalaya, a fried egg and cheddar. Daniel ordered the Pollo Relleno, which was the same thing, but with a more Mexican twist. 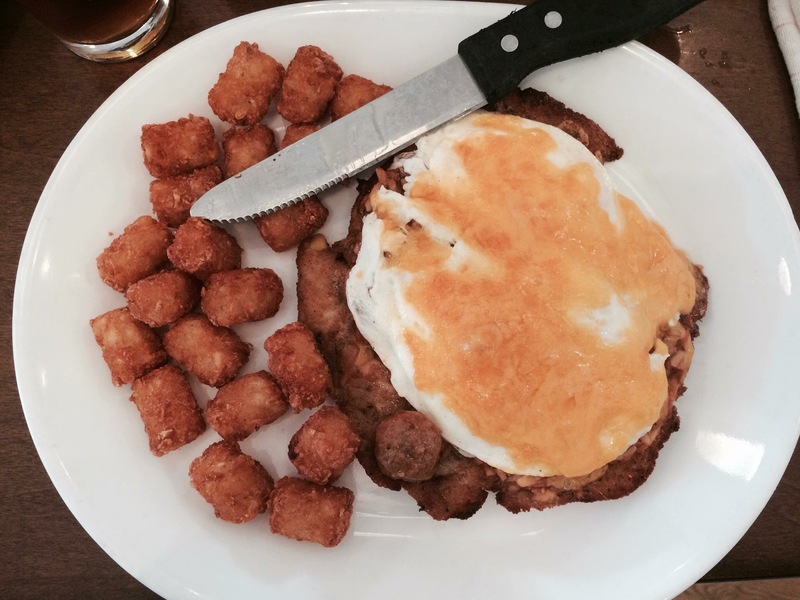 Both were delicious and those golden nuggets of life (aka tater tots) are the best we’ve ever had. 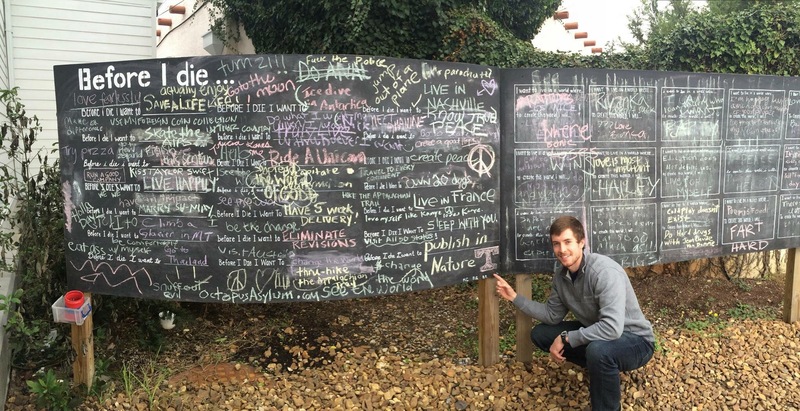 Outside the front of the restaurant is a huge blackboard with the words “Before I die…” written in bold white font. 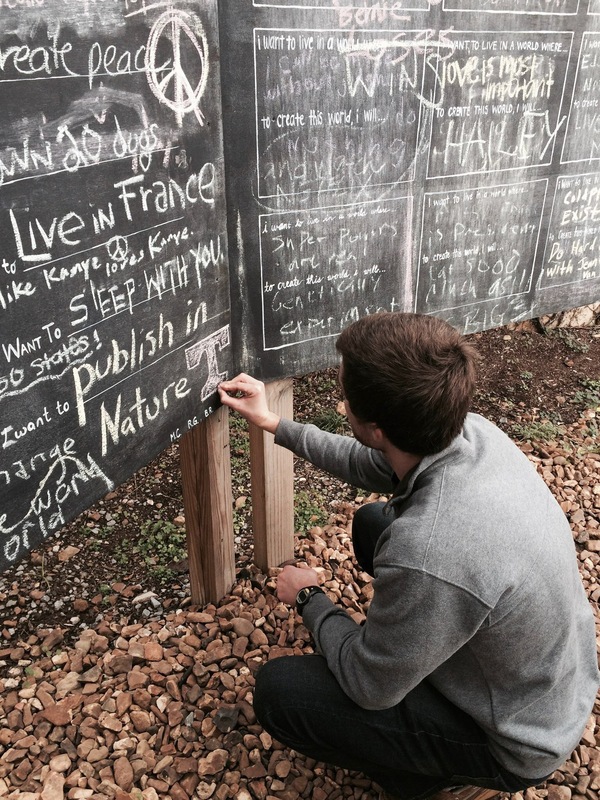 There is a little bucket of chalk attached to a post and passersby can write what they hope to do before they die. “Live in France” and “Ride a unicorn” were just a couple of the things written by others. 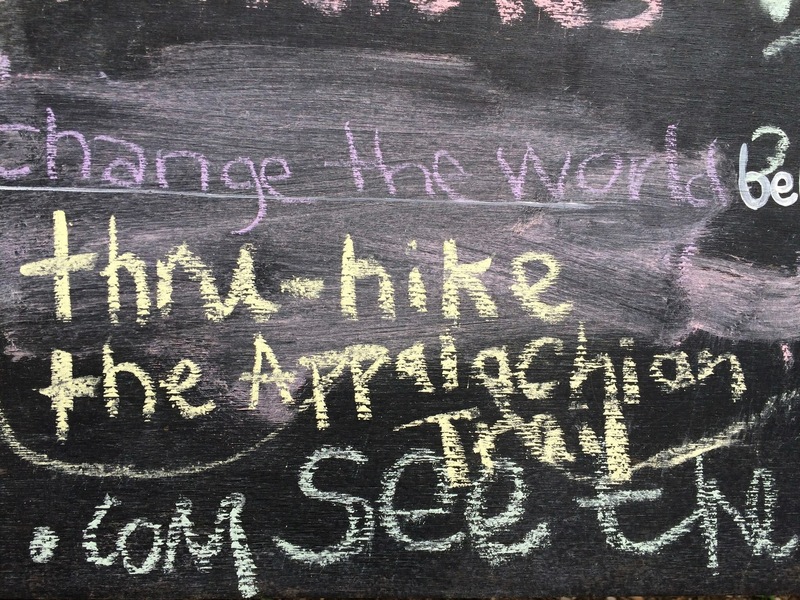 Daniel drew a Power T (typical) and I wrote “Thru-hike the Appalachian Trail”. 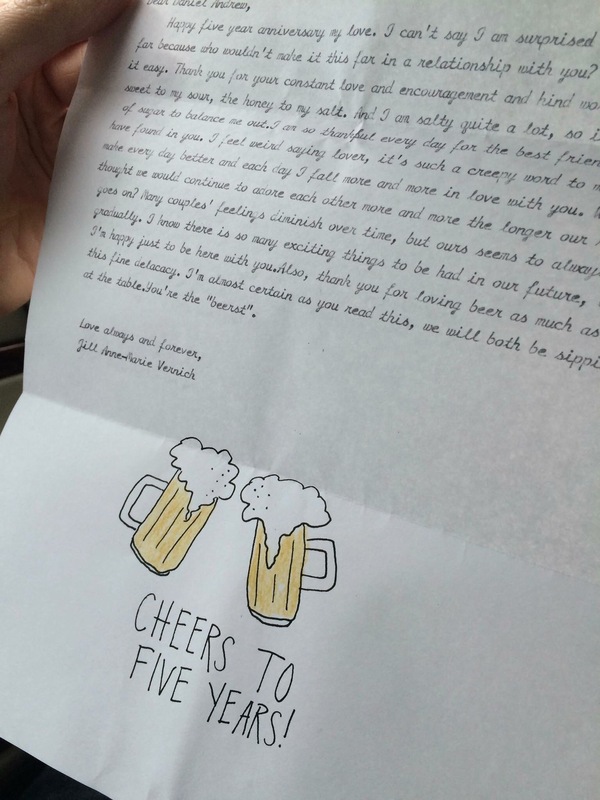 I wrote a short letter to Daniel for our anniversary like I do every year, except this year I typed it up on my typewriter. My 1958 seafoam green typewriter. Are you sensing a theme here? Every year with Daniel has been significant in its own way, but I think this year has been my favorite. Cheers to five years and good eats!